My clients are law enforcement managers of Sheriff and police departments throughout the State of California who I represent in labor personnel issues and lawsuits, both state and federal. Our clients demand high quality work done by individuals with outstanding qualifications and unquestionable honesty and integrity. From our past relationship when I served as Orange County District Attorney and Greg Gulen ran our Technical Services section I knew that he met the standards demanded by our clients. 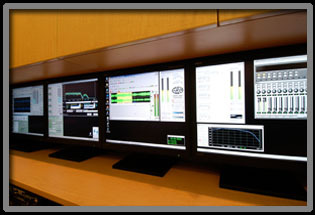 As supervisor of Technical Services he achieved a reputation for excellence that caused numerous state, local and federal law enforcement agencies to seek out the sections expertise in acquiring and enhancing audio and video recordings and utilization of sophisticated surveillance and surveillance-detection equipment. Your assistance in supporting a prosecuting office of 250 attorneys and 200 investigators in investigations and courtroom presentations using twenty-first century technology provided us with the winning edge in innumerable difficult cases. Since I have been in private practice, his work on behalf of our law enforcement clients has met with the same positive feedback consistent with his track record in the District Attorneys Office. His state of the art equipment and interest in the field keeps him on the cutting edge and his long standing commitment to excellence will continue to make LEGALTEK LTD our choice for assistance in matters calling for his expertise. LEGALTEK has provided invaluable trial and litigation support in a number of complex criminal cases. 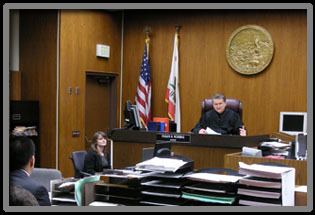 In a recent first degree murder with special circumstances of torture prosecution, LEGALTEK's QuickTime Virtual Reality photography of the crime scene was instrumental in the presentation of the Defense case in court. As a major criminal defense law firm in Southern California, the Law Offices of Joseph P. Smith rely on LEGALTEK for a wide range of forensic services and technical support. I strongly recommend Mr. Greg Gulen and LEGALTEK to every attorney who wants to maximize the persuasiveness of their clients case.